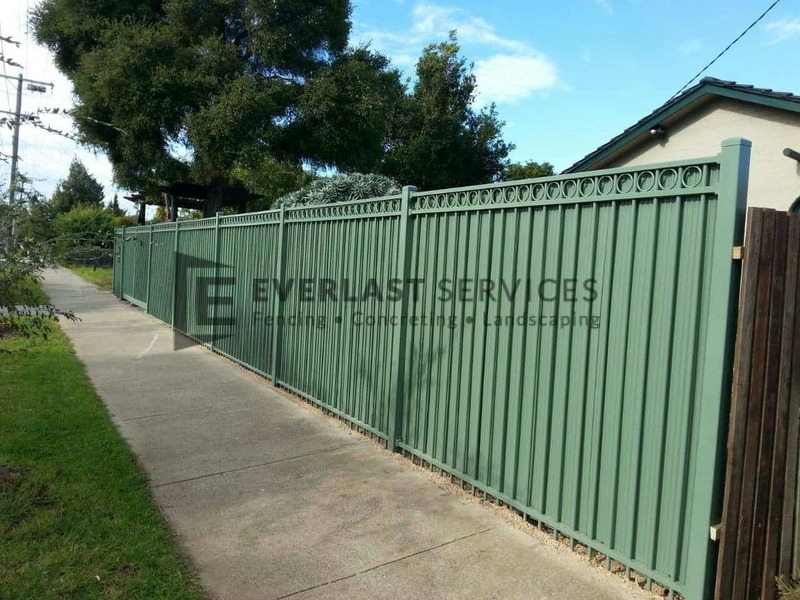 If you want a quality residential fencing solution at an affordable price, look no further than Everlast Services (formerly known as Everlast Fencing). Our prices are unbeatable and clients are always happy with the look and longevity of the finished product. 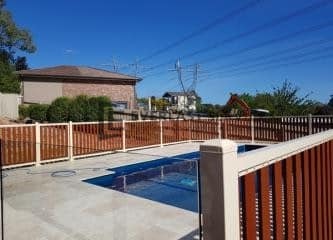 This particular client wanted a fence that would add privacy to their home and give it an attractive aspect from the outside. Everlast Services were able to deliver on both fronts. We came up with an idea for a green steel fence so it would tie in with the cream and green palette of the house. We added miniorb powdercoated sheets on the back to block out and view of the house from the outside. We added a ring top feature to the front of the fence to add an aesthetic that would liven up the flat, steel sheeting. 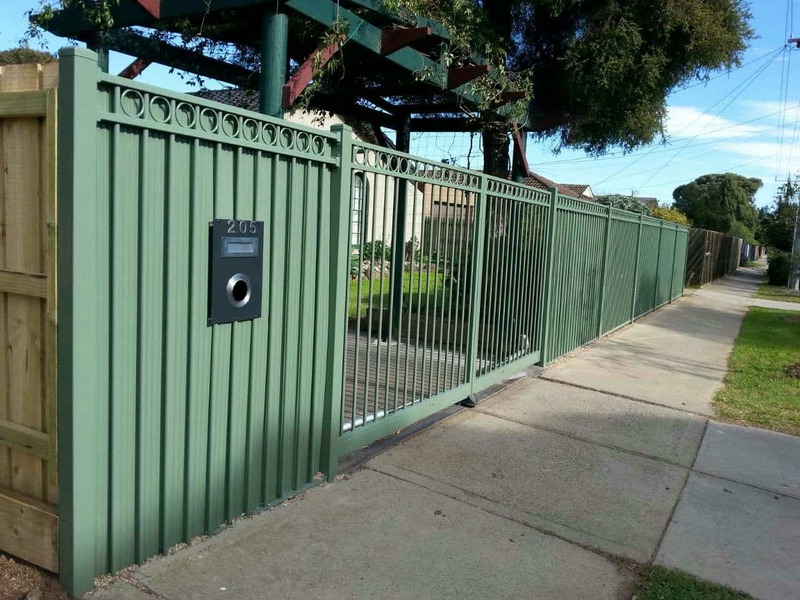 We were also able to add a motorised double gate to allow for easy access to the home without sacrificing on the security of the whole fence structure. We did all the fabrication for the fence in house at our fabrication plant in Hopper’s Crossing. The clients had asked for quotes from other residential fencing providers and couldn’t believe the price we quoted. 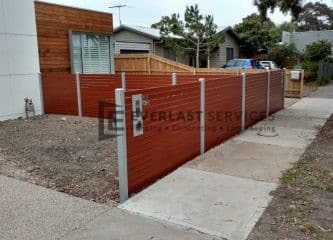 At Everlast Services, we love passing savings on to our customers wherever we can, and our ability to fabricate the fence ourselves allowed us to beat all other quotes. The clients were thrilled with the finished product and felt that it was a stylish and functional addition to their home. 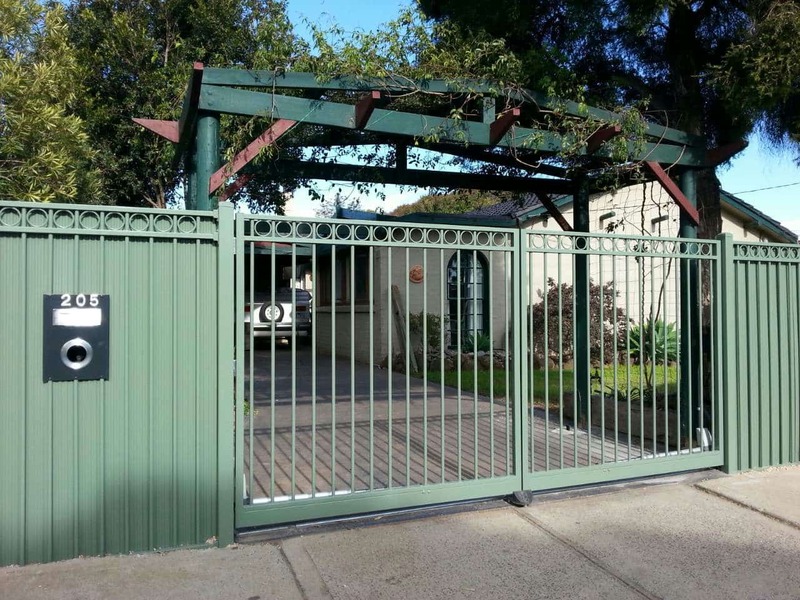 They were particularly happy with the motorised double gate, as this has made the commute into and out of the house an absolute dream. 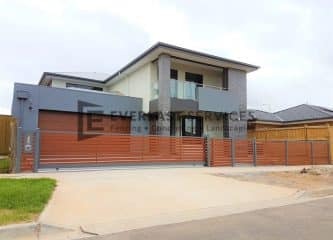 Their friends have commented that the fence has given the house a far cleaner look and the clients love the fact that they are able to enjoy complete privacy as soon as the gates are shut.